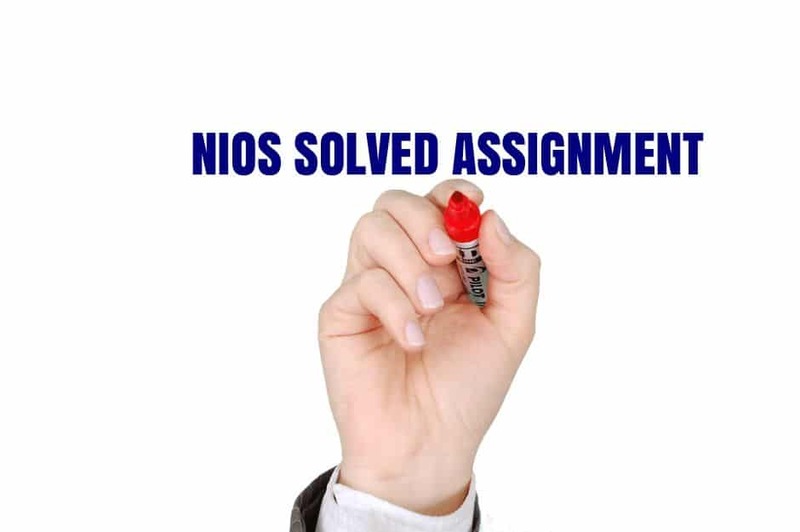 NIOS Solved assignment: NIOS assignment simply is types of a task to submit your answer to a study center. Looking to complete NIOS assignment answers with good marks? Then you’re in the right place. 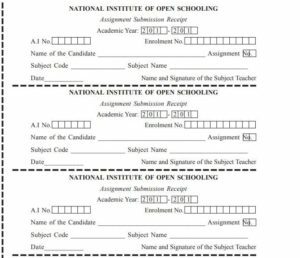 NIOS assignment question: they have updated question paper on the official website you can also check from your student dashboard login panel. Students face problem while writing assignment task on a different course like the secondary and senior secondary. Thus, the problems mainly arise while preparing TMA. Miss Understanding of current year question paper. If you are stuck in the middle of the assignments and didn’t get the proper solution on how to solve -related topics, you should not waste any time and reach out to the Ansari institute. What to do after submitting? Once you are finished writing a TMA of current year using question paper, your next task is to submit in your study center. And collect assignment acknowledge slip from them. If the observer like the TMA you wrote on a page, they may find you have written perfectly. And the good performance of your assignment content may encourage them to provide good marks. Are you searching NIOS assignment cover page? If you are facing issues for getting this from the internet, then you are in the right place. assignment cover page is a front page which helps the student to write their details on it. Every student must aim to get higher marks in the exam which helps the most, To achieve this aim, you need a teacher/counselor like Ansari institute which will help you in a different query. in distance education mostly students come either getting only for a degree and another comes for the higher qualification. Having lots of pressure on the job is a headache for everyone after then exam pressure student faces difficulties to prepare in the examination. To help you with this problem, I have added a list of all exam notes to helps you in the exam. To improve your result, you must follow our notes so you can find out which questions are important for the exam and which are not. ii.33% aggregate in the subject.